Establishing a shorthand for nuclear, biological, and chemical weapons has always been troublesome. Weapons of Mass Destruction, or WMD, is probably the most popular, but also the most generic, and thus misleading. Alternatives, like CBRNE, exist, but WMD tends to dominate the mainstream nomenclature. Characterizing three very different weapons with the same shorthand risks comparisons which might not be appropriate. Nuclear, biological, and chemical weapons have different lethality, utilize different phenomenon to kill, and are employed for different purposes. Referring to them with one convenient phrase risks misconstruing details. And details, in the nuclear, biological, and chemical weapons business, are everything. Thomas C. Schelling is a legend of the strategy world. His 1966 book Arms and Influence had a massive impact on how we discuss nuclear weapons and deterrence, and did so with a verbal grace rare among policy scholars. He also produced one of the earlier serious treatments of nuclear terrorism. This being a bio-focused blog, I looked at his 1982 article Thinking About Nuclear Terrorism with an eye toward bioterrorism. How much translates? Schelling does not lump biological weapons in with his nuclear analysis, but given the ease with which we discuss these weapons collectively, it is worthwhile to see whether the foremost thinking on one applies to the other. Writing in the early 80s, Schelling was thinking not of al Qaeda or ISIS, but of how any non-state group might seek and use nuclear weapons. Schelling’s theories of nuclear weapons are built around influencing an adversary’s behavior. Nuclear weapons are most effective when used for deterrence, convincing an enemy not to take a particular action: “Don’t _____, or we’ll attack.” But they can also be employed to convince an enemy to make a particular move. Schelling calls this compellence. It’s by far the more difficult tactic, but it’s the one that defines political violence and terrorism. Terrorists use fear, usually to convince an adversary to take a particular action. This means outlining one’s demands and backing them up with a credible threat. A group might employ nuclear weapons to seize territory, but they will more likely be trying to influence governments. According to Schelling, this means nuclear terrorism will be a campaign, not a single event. The permutations are endless. Schelling details a number of ways terrorists might acquire and use (or threaten to use) nuclear weapons, usually in pursuit of a political goal. While this leaves out purely apocalyptic terrorism, seeking only destruction, it covers wide swaths of possibility. 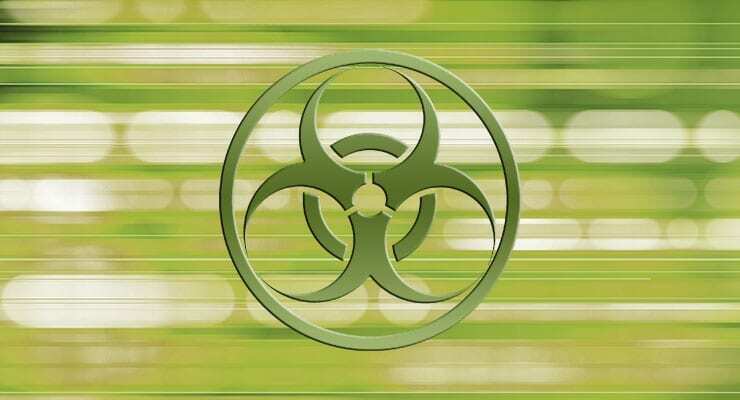 So how well does the theory describe bioterrorism? As with nuclear weapons, it is immensely difficult to acquire and weaponize pathogens. Using them to coerce might be even harder. There are a very few distinct examples of bioterrorism. The Aum Shinrikyo cult, in addition to their sarin gas attacks on the Tokyo subway, pursued biological weapons. This was never viable, thanks to a number of mistakes, including using the wrong strain of anthrax. The only two successful biological attacks (since 1945) illuminate the attribution and goal-communication problem. In 1984, a religious group seeking revenge on the Oregon government contaminated several restaurant salad bars with salmonella. The attack sickened 751 people, but the actual causative agent wasn’t discovered until a year later, when infighting in the group led the federal government to investigate their compound. Without a clear link between the attack and its objective, the political point becomes muddled. Similarly, the presumed perpetrator in the 2001 Amerithrax letters attack, Bruce Ivins, might have been aiming to show the U.S. government how vulnerable they were to bioterrorist attacks. However, many questions remain about the case, and it’s tough to draw a through-line from a political objective to an attack. Instead, there is only confusion and fear. An attack mistaken for a normal outbreak might not have any political consequence at all, and a group trying to take credit for an outbreak would have to make significant strategic sacrifices, like revealing their lab, jeopardizing a chance at a future campaign. Confusion and fear might be the only objective in a bioterrorist attack—that seems to be the case in the limited examples we have—but then it is set apart from the classical terrorism-as-politics model that Schelling describes. Not only is bioterrorism immensely difficult to pull off, but it also might not appeal to groups hoping to influence a specific political outcome. Just another way that nuclear and biological weapons are different animals. Greg Mercer is pursuing a Masters of Science degree in Biodefense at George Mason University and writes for The Pandora Report.